Because the landscape of marketing and public relations is constantly evolving, it is important to keep up with current trends and include them in your client’s PR strategies. Influencer marketing has become a massive component in successful digital PR campaigns, and it has proven impact on brand exposure. An influencer is someone who has clout in a particular industry. He or she has a loyal following of individuals who trust what the influencer is filtering to them. There is great value in having influencers associated with your client’s brand. Not only will they help get information to your target audience but their communities also highly respect their authority. They are therefore able to impact consumer purchasing decisions. All PR professionals know the importance of forming meaningful relationships; relationships are the core of what we do. By cultivating relationships with both influencers and media contacts, we can continue to expand our network of influential connections across industries. The process of first identifying and then managing relationships with influencers can be a bit tricky. Here is a step-by-step guide to building these connections. Finding influencers can be a mundane task. However, the research is worth the reward. Recognizing the right individual who has influence over your target audience will have a great impact on your marketing and digital PR efforts. There are several tools, such as FollowerWonk and Traackr, available to help identify influencers in a particular industry. Still, don’t forget about common platforms like Google and social browsing. For example, say you are looking to find influencers in the beauty industry. If you search Google for terms like “top beauty influencers,” it is possible there are existing articles highlighting major influencers in that field. Leverage social media by searching similar terms. You could search “beauty blogger” on Twitter, where the platform will generate the most popular accounts associated with those keywords. How you engage in your initial conversations will set the tone for the rest of your engagement with influencers. As with traditional PR relationship building, you should start by taking the time to familiarize yourself with the individuals, their social channels, and their work. Engage with them on social media by liking, commenting on, and sharing their content. When the time comes to send them a message, choose the best platform, whether social or e-mail (if listed). Then share as much information with them as possible. Compliment the influencers and let them know what about their online presence made you interested in connecting. Tell them about yourself and your client and how you envision working together. Be sure to include how working together will be beneficial for the influencer’s brand. No relationship should be one-sided. If an influencer expresses interest in working with you and your client, your next step is to strategically define how you will fulfill the relationship. Think about what you want out of working with the influencer. Do you want that person to review your client’s product for exposure on his or her channel? Do you want to invite the influencer to a special event, such as a grand opening? Know what you are looking for before reaching out so you can easily define goals to the influencer. Keep in mind it’s always possible that the people you are contacting have not had a positive experience with your client’s products or services. If working together is a positive experience for both you and your influencers, then it is important to continue your working relationship. When projects are over, continue to engage with the influencers on social media, and send the occasional e-mail checking in with them. You never know when a similar project or client might arise that would bring you together again. 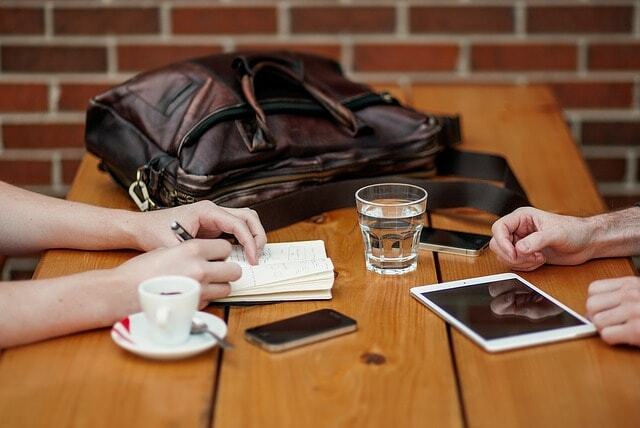 In the digital age, it is becoming less common to have in-person meetings. Still, it is never out of question to ask an influencer to grab coffee and discuss current ways you can work together in the future. Anthony Yodice is a digital marketer specializing in digital public relations and social media at Blue Fountain Media in New York City. His primary job function is to drive public relations efforts across various client accounts with an emphasis in digital media. When he is not crafting creative pitches and building content calendars, you can find him exploring New York City in search of the toughest boot camp fitness classes, the perfect brunch spot and the best iced coffee he can find. Thanks for this awesome tips. Will definitely try it and hopefully gain more traffic and followers. Cheers! Very interesting article. I’m going to apply on those topic asap for my business. It’s really an important post. Building relationship in every business is important and one should a healthy relationship. Although, It was a great post to read. Thanks for sharing. I hope it will be helpful. Emsisoft Anti Malware Crack Keep sharing this type of blog. It is worth sharing. Influencer are the once who builds your brand directly or in-directly in users back of mind. While following influencer user been slowly reaches to the brand spot. Influencer builds friend-guide-philosopher relationship with user which allows him to enter in users world and place brand, the place where it should be! Article pointed out many of the alike points, very informative. Keep writing blogs like one! Great post Anthony. You’ve nicely summarized the importance of influencer marketing which is vital to survive in the internet marketing industry. Building stronger relationships is a mighty step towards building stronger businesses. It’s helpful article for PR. I have a facial hair blog furthermore attempt to share useful and intriguing data. You truly peopling to build up their business. It’s useful article for PR. I have a beard blog and also try to share usefuland interesting information. You really helping people to develop their business. Great article. This is usefull tips for successful influence marketing. Relationship building is very important for marketing. Thanks For sharing. Great article. This is usefull tips for successful influencer marketing i want learn more about this.Thanks for sharing. Influencer marketing is very important,I have tried to reach out to a couple influencers sharing their post and retweeting but Anthony will be better prepared next time after your valuable post. Again thanks for sharing. Its really amazing to know these things about influencer marketing, very much helpful. Thank you very much for writing this great blog here for us. Hello AnthonyGreat post! It was very insightful and very useful. I especially am glad you shared how to go about the initial stage of reaching out. Interesting. I’d never heard of FollowerWonk before, thanks for sharing. I have spoken to influencers before, though and they’ve helped massively. Really amazing blog about to get successful relationship with influencer marketing. Thank you very much for writing about influencer marketing. Just amazing post yous shared it is most important now a days to build relationship with our each other in business. Also explain very well on influence marketing people don”t know about this type details you explain here. Although thank you for sharing. Please keep updates as soon as possible;le. Robin Khokhar would love you to read ..WordPress Vs. Blogspot – Which one should you choose? Useful tips. I hope it will be helpful. Keep sharing this type of blog. It is worth sharing. Is influencer and trendsetter same thing but in diffrenet word?